State Department spokeswoman Victoria Nuland tells reporters: We believe there is still time for diplomacy to work with Iran. The United States made it clear on Wednesday that it believes there is still time for diplomacy on the Iranian nuclear issue. State Department spokeswoman Victoria Nuland made the remarks when asked by reporters whether the State Department feels pressure from Israel on Iran. Nuland was then asked whether the U.S. ever indicated to Israel that if it decides to strike in Iran, the U.S. would have its back. The chairman of the Joint Chiefs of Staff, Gen. Martin Dempsey, said this week that Israel and the United States view the Iranian nuclear threat differently. “Israel sees the Iranian threat more seriously than the U.S. sees it, because a nuclear Iran poses a threat to Israel's very existence,” Dempsey said, adding that he and his Israeli counterpart, IDF Chief of Staff Benny Gantz, regularly confer on the issue. 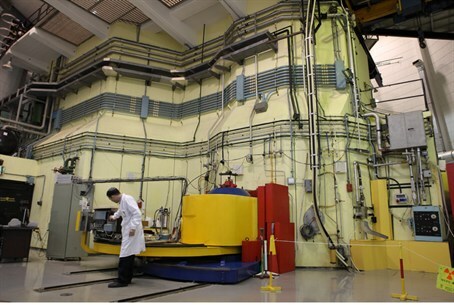 Meanwhile, the International Atomic Energy Agency (IAEA) announced Tuesday that it will renew its efforts to acquire access to the Iranian military installations in which experiments involving nuclear warheads are suspected to have taken place.